RL Miller LLC stocks and distributes parts that are manufactured by industry leaders who have built a reputation on producing high quality and reliable parts. Through our partnership with these manufacturers, we are able to provide you with the right parts and supplies to make repairs, perform regular maintenance, and custom fit your equipment with effective solutions. Provides innovative technology and solutions that help power your companies hydraulic systems and get you operating more efficiently. From hydraulic motors to cylinders, valves and complete hydraulic power units, Eaton’s hydraulic product portfolio provides you with powerful solutions. A family owned business that has been producing pneumatic and hydraulic cylinders since 1887. While they specialize in large scale balers, their products have expanded to include a wide range of hydraulic cylinders, valves, boosters and air-oil tanks. Represents a line of high-quality steering motors, spool valve motors, disc valve motors and general purpose motors, among others. For the best in value and reliability, when you are in need of a spreader or spinner motor, conveyor motor for your car wash, or up to the largest rotary drives. 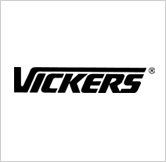 The leading name in vane and piston pumps, electro-hydraulic controls, cylinders and filtration products that are used in industrial, aerospace, mobile, marine and defense applications. Their parts help keep hydraulic systems across the world running smoothly. 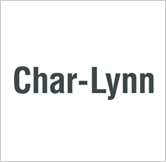 Leading manufacturer in hoses, fittings, adapters, couplings and fluid connectors that are used in the hydraulics industry, including industrial, mobile, marine, and chemical applications. 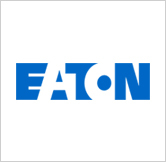 This respected segment of the Eaton family has been in business for over 65 years and has a global reach. Focuses on producing high-quality parts that meet high standards for reliability and durability while also offering a competitive level of affordability. Dynex pumps and components are designed to operate in high pressure systems including exotic fluid applications. Producer of high-pressure hydraulic tools and control force products. The business started in 1910 with producing water pumps for the Model T. Since then, they have expanded and now offer solutions that range from small hydraulic cylinders to complex syncronized lifting and positioning systems. A trusted leader in manufacturing high-quality hydraulic cylinders that range from smaller models to heavy duty products used in commercial applications. Customers can order specialty cylinders or choose from existing products that can handle any project. The first to create an upgradeable multistage pneumatic cylinder and a trusted source for a variety of cylinders and presses that help drive progress and create new technology. Specializes in hydraulic and pneumatic tie rod cylinders. Light duty to heavy duty applications and offering express delivery with cylinders shipping in 3 days. Experts in filtration solutions for hydraulic, fuel, lubrication and other process systems that are perfect for industrial and mobile equipment. A leader in new solutions and innovations in the world of filtration systems. advanced fluid conditioning systems include monitoring equipment for oil cleanliness and water content. 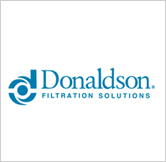 Donaldson delivers a full line of engine aftermarket fuel, lube, coolant and air intake filters for diesel engines plus exhaust system components.